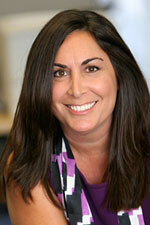 Lori Meyers is a California attorney with 13 years experience in third party reproductive law. Lori first researched the area of surrogacy and reproductive law for a close friend in 1995 and never left the field. She believes in maintaining close contact throughout the process of the arrangement, and works hard to build relationships with her clients so that all legal aspects are completed with confidence. Lori has built a strong reputation for creating open, trusting relationships with her clients. Meyers & O'Hara, LLP represents clients from all over the world involved in surrogacy, as well as egg, sperm and embryo donations. The firm drafts contracts prior to medical procedures, and finalizes parental rights so the Intended Parents' names are placed on the birth certificates. Flat rates are available. Meyers & O'Hara, LLP works with a variety of professionals, including agencies, counselors and doctors, to help you in your arrangement. If you have questions regarding any of our services, you may contact Milena O'Hara or Lori Meyers at (818) 783-1111 or info@meyersohara.com . Free consultation. Flat and unbundled fees are available. Fluent French.